A great resource for designers and developers! 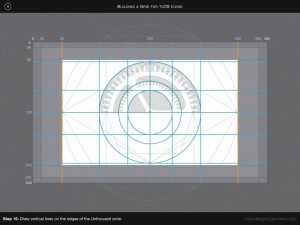 how the iOS icon grid embodied the golden ratio and related root-two ratio. In addition, we introduced you to a range of compatible grids (geometric progressions) from the late 19th / early 20th Century and showed how these related grids can be combined with the iOS Icon Grid to create and lay out your icons. Icon Design has been expanded to include more geometrically proportioned icons. Also, in Version 2 you will see how the iOS icon grid can be used as a starting point for building a range of icon grids for MacOS. It’s surprisingly simple and easy to follow. The golden ratio is no myth. 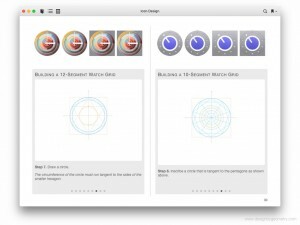 Find out how you can use the golden ratio in a practical way to harmonize your icon elements with Apple’s iOS, MacOS, tvOS and Watch OS icons. With a range of geometrically constructed grids, discover how you can use the golden ratio to great effect in your own work. a geometrically derived icon grid. Learn to build a simple icon grid using circles, hexagons, pentagons and squares, then use this grid to proportion and lay out your tvOS icon elements. Included in Icon Design are two MacOS icon grids that you can use for tilted and round icons. Derived geometrically from the iOS icon grid, use these grids to adapt your existing iOS app icons to MacOS, or design your MacOS icons from scratch. With these icon grids, your icons will line up beautifully and effortlessly on the MacOS dock; just like Apple’s icons. 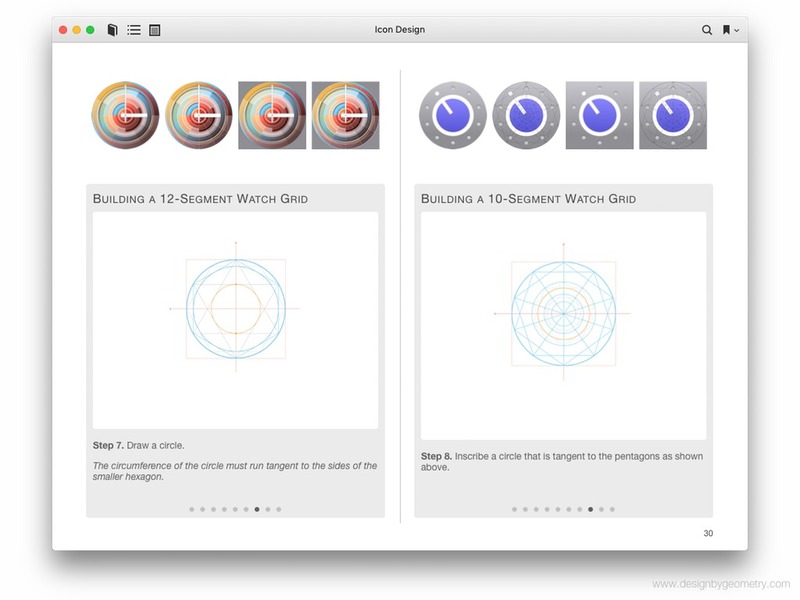 Following on from the iOS icon grid and icon grids for MacOS and tvOS, use the same geometric techniques for building Watch OS icon grids. Once you get the hang of working geometrically to build the grids in this book, you will be well on your way to creating your own grids. After competing against more than 1000 nominations, Icon Design ( Version 1.0 ) was a finalist in the ‘The iBAs (2015)’. Chris Heath was a finalist in the ‘Author of the Year’ category for Icon Design. What do people who have bought Icon Design have to say?